If you enjoy working out, especially in the morning, going for a run or hitting the gym on an empty stomach is just not everybody’s cup of tea. People like me need some energy before we exert any. However, you cannot eat few minutes before you start your workout regime. You always have to consume 30 – 40 minutes pre workout meal. You cannot just eat anything before your workout. You have to consume in terms of appropriate carbohydrate and proteins to ensure that you get the best pre workout meal of your exercise. Here are some pre workout meal ideas that you can make and eat before you start on working those muscles out. A wonderful source of protein, eggs are also known to help in muscle recovery and growth. 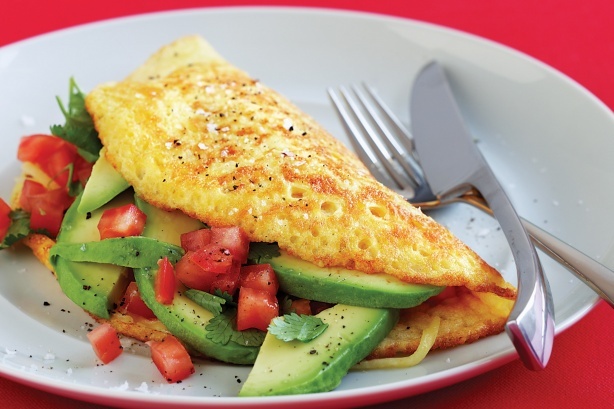 Instead of the usual fried eggs or a scramble, go for a vegetable packed omelet. For good pre workout meal, a few slices of avocado for garnishing will provide you with the necessary fiber content and will also help your body in absorbing the soluble fat nutrients that your vegetables contain. The amount of antioxidants present in these vegetables will help boost your system. Who doesn’t love oatmeal? If you’re a fitness freak like me, then oatmeal is probably your good pre workout meal. It has a tendency to gradually release the sugar in your bloodstream during your workout. Also, it is not that hard to make. The addition of fresh fruit to your bowl will keep you hydrated during your workout. simple, fresh, delicious and contains ingredients of your own choosing. Smoothies are amongst the best pre workout meal. You can put the fresh fruit of your choice, add in some Greek yogurt and milk and you’re done. It gives you an energy boost and chases away the hunger pangs you might experience during your workout. The energy boost it gives you is another major bonus point. If you have a craving for something more than just a light meal, then go for the classic eggs and toast. In pre workout meal ideas, take one slice of whole wheat toast and pair it up with one or two hard boiled eggs. It is guaranteed to make you feel full and content and make you more energized.